Relax & indulge with Afternoon Tea. Our Luxury Hotel in Cork City. Guests can unwind in Hayfield Manor’s signature restaurant Orchids, overlooking the beautiful private gardens it creates the perfect atmosphere to dine one of the best fine dining restaurants in Cork.Guest will be utterly pampered with a choice of elegant bedrooms, the hotel also caters for junior guests making it one of the best family hotels in Cork. From weddings, events, meetings & conferences to midweek & weekend Cork city breaks with leisure facilities; minutes from Cork city centre and directly beside UCC, see why we remain Cork City's Premier 5 Star Hotel. 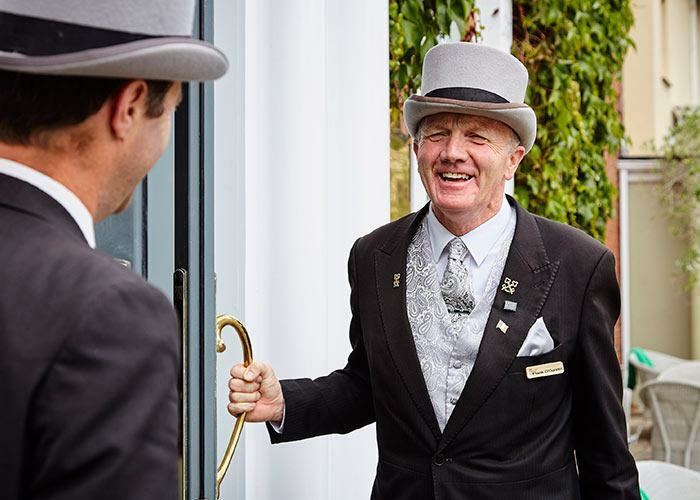 With luxury at the centre of all that we do, we look forward to welcoming you.